We all need to be reminded of the truths we already know but often lose sight of. When you listen to this audio, you will reconnect with how to relax as well as how to redirect your thoughts to positive healing images. Healing Surgery is sold at the Mayo Clinic Medical Store. Includes several different ways to help you relax emotionally and physically. I wrote these scripts to help you deal with emotional, physical or spiritual challenges in your life with greater calm . The background music is beautiful and lends itself well to these images.It includes over 75 minutes of playing time. 5 Tracks to help you return to calm and peace. "Angel's Redemption" and "Second Awakening"
Progressive Relaxation--The process of tensing specific muscles and then releasing...a proven way to help your body relax very quickly. TRACK 3: 15:50 Music : "Tribal Eve"
Belly Breathing (Diaphragmatic Breathing) Another proven way to help you unwind quickly. to help you access your healing resources--set to beautiful relaxing music. TRACK 4: 18:42 Music: "Magical Shores"
Ms. Cedarleaf ’s “Your healing journey” is able to transport the listener by virtue of its clear heartfelt intentionality to serve in creating a healing atmosphere. As in poetry, as in art, as in a short story, there is a underlying narrative that either engages or disengages the reader, in this case the listener. In this CD of Ms. Cedarleaf, the poetry like script is felt, the music’s ambient subtlety emotes an almost cellular serenity. These aspects cannot be underrated because essentially they are the underpinnings of the entire healing-like experience. Then comes the quality of the speaker and clearly the script. She excels in her delivery of both. Ms. Cedarleaf has been trained extensively in the art of delivering guided experiences and skillfully keeps the listener attuned. One caveat of off the shelf materials is they can extinguish interest and to quickly deter future use; this is not the case here. Successful repetitive use of guided imagery material requires what is called a sense of novelty, and novelty requires the listener to stay engaged, to experience those ah ha’s by finding fresh insights, deeper meanings with each use of the material - not dissimilar to hearing music one loves or art. Essentially that is why we refer to these gifted materials as healing arts. “Your Healing Journey” fits beautifully in this category. Use them to get in touch with the healer already inside of you." "I listened to "Your Healing Journey" and...."I haven't felt that calm in a long time. It was amazing. It provided me with hope again." 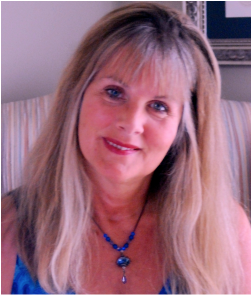 Clinical Hypnotherapist, Holistic Psychotherapist and Guided Imagery Practitioner. 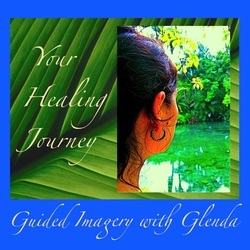 ﻿Glenda loves helping others heal through the power of guided imagery. Her audios "Your Healing Journey" and "Healing Surgery" are licensed to hospitals and "Healing Surgery" is sold at the Mayo Clinic Medical Store. Contact Glenda for reduced rates for bulk purchases and affiliate sales partnerships.